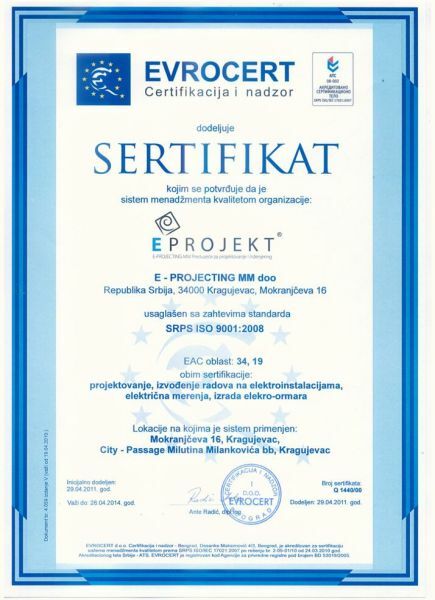 E-PROJECTING MM is certified for quality management system-SRPS ISO 9001:2008 standard. 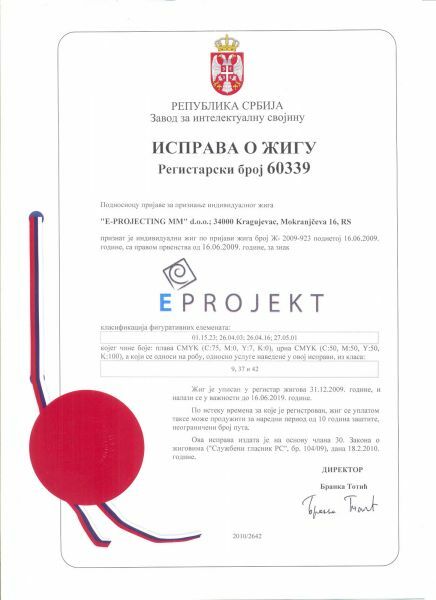 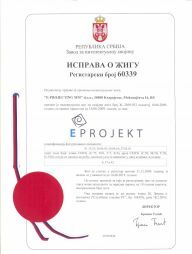 The trade mark of the company “E- PROJECTING MM” has been officially protected as a brand. 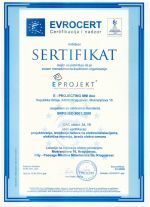 That certification is valid up to 2019.